PLEASE NOTE > BEFORE YOU READ FURTHER > Homeboy Media News [HMN] has moved to its own domain name http://homeboy.gr since April 1st 2008.
http://magazine.homeboy.gr where we provide you with news from Greece and Cyprus, published in Greek language. Please make sure to bookmark our new internet addresses as above and to add us in your favorites. Thank you for your attention. HomeboyMediaNews provides (since May 12th, 2006 on WordPress) via selected and reliable sources, all the latest News covering Greece, Cyprus and the Greek Omogenia (Diaspora). The news and all articles are divided into different categories, ranging from Arts and Culture to Entertainment and Happenigs, from Sports to Health, from Business to Mythology and many more. HomeboyMediaNews also provides information about the Greek Lifestyle and Culture as well as a list of Travel articles plus a Travel Guide, for all of you who are interested to visit Wonderful Greece and Cyprus, either on business or pleasure. Travel articles are again divided into different categories for your easy reference so that you can pick those most appealing to you for reading. We would like them to be your source of ultimate information when planning your trip to Greece or Cyprus or whenever you want to learn more about our two countries, customs and traditions or which islands or other places of interest you should visit. Greece and Cyprus have so many things in common, since the ancient times. History, religion, language, customs and traditions, even political affairs, are among them. Through our articles and travel guide we hope that you will explore and enjoy both of them as much as you are Welcomed to both of them! Please note that the information available on this website is intended for your guidance only and every reasonable effort shall be made to keep it current and accurate. It does not however purport to be either a legal or otherwise interpretation. Links to external sites are provided for the user’s convenience and do not constitute or imply their endorsement, recommendation or favouring. We aim to enhance both our content and categories as we move on. Our motto is > Greece’s + Cyprus’ English speaking News and Travel Guide | Daily | Your ultimate Gateway to the Greek Culture and Knowledge | Proudly Made in Greece! HomeboyMediaNews is a Proud Member of The HomeboyNet network. In the meantime make use of your option to post your comments (we really need that extra encouragement you can give us!) and subscribe to our feeds. or alternatively to the above, you may use your favorite one (if not already mentioned above). Our feeds are > https://grhomeboy.wordpress.com/feed/ You can also do this by clicking FEEDS on our main page (located at the end of the page, on your right hand-side navigation bar). If you click on FEEDS you will be directed to a page with a broader choice of readers. We encourage our readers and users to comment on and even challenge HomeboyMediaNews’s blog articles, reviews and other features. How to Bookmark and share HMN Articles > You can save, share and recommend articles you find on the HomeboyMediaNews (HMN) blog > In the old days, people used to share articles by pulling out a pair of scissors, clipping the newspaper and mailing the article in an envelope to family, colleagues or friends. Nowadays, there’s a much easier way, one which is even easier than e-mail. It’s called social bookmarking, and uses the Web’s most popular community sites. By sharing HMN links, you can flash your credentials as a true world citizen who goes beyond the usual suspects to stay informed. Heck, if you’re on Facebook, you can even post HMN articles on your profile, demonstrating your intelligence and greatly enhancing your prospects for finding a date and other people as smart and savvy as you. Bookmark and share. It’s the polite thing to do. It’s really easy, too. To share an HMN article using your favorite bookmarking site, simply click on the “BOOKMARK” button located in the right navigation column of our widget “Subscribe Recommend HMN”. We recommend to right-click to open in a new window. Copyright © 2006-2007 HomeboyMediaNews. All rights reserved. Congratulations for your site.. It is really great to see that all the english speakers of this country have a new place on the web to visit and be uptodate with all the media news. Keep up all the good work. Thank you Ben and Welcome to our humble home! Enjoy surfing through our content and please do feel like home. If we can be of any help or if any questions seek answers, just give us a try! Thank you for your kind comments. can you give us background on your picture/photo above? With pleasure! It’s a seducing photo and a stunning view I must admitt. A Window to Greece and Cyprus. Both, being nautical countries, Greece especially with approx. 1700 islands. The word “Window” is used allegorically, meaning “Come, See Us” or “A Window to the Greek Culture”. 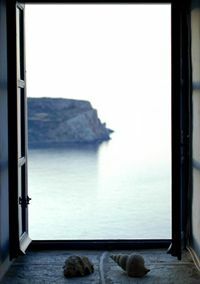 An open window inviting everyone to the Greek world! Great site.. accidentally found this.. as foreigner living in athens.. i can appreciate this much much more..
please feel free to reach if I could be of any help. Thanks so much for your kind comments. So, a [foreigner] permanent visitor, a fan of Athens, living in the city – craddle of democracy and civilization. It would be interesting to hear your view, comments and opinion about living in Greece, from a visitor’s point of view. [Personally, I am not much in favor, using the word “foreigner”]. Feel free to comment on our news and other articles. Enjoy life in Athens! My boyfriend and I are coming to Mykonos in early August and we’re looking for an inexpensive place to stay. We’ve heard that when you get off the ferry there are often people offering rooms to rent. Can anybody tell me a bit more about this? Would I basically be renting someone’s extra bedroom or would I be renting a room in a sort of unofficial b&b? Any insight would is appreciated. Thanks!